Amber by Louis Ferre is a long layered wig made with gorgeous human hair. 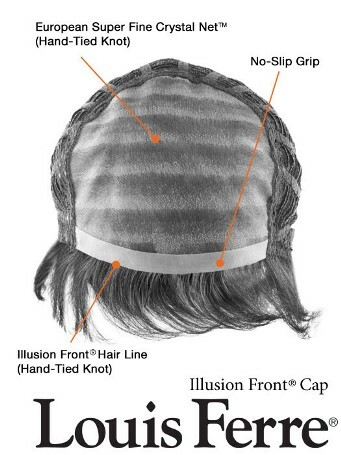 Featuring a monofilament top for ultimate styling options this wig appears extremely natural and beautiful. Trim, style or cut any way you'd like the possibilities are endless! Feels incredibly soft and can be styled just like your own hair. Bangs: 4" Crown: 12.5" Nape: 12"